Remember when we told you about the surge in classic black-and-white weddings? Well, lots of pastry chefs are coming up with wedding cakes to fit the theme. 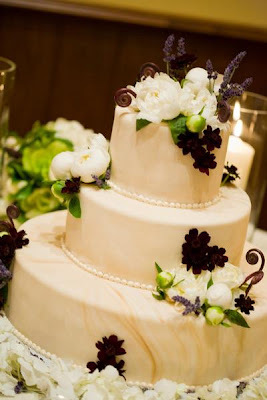 Here is one truly lovely confection that we spied over at The Brides' Cafe. Created by Christine Dahl Pastries.